In Washington State they have a subsidized RTW program. Light-duty jobs for injured workers help keep valued employees and control employer costs. Hear how from the Eagle Group in Spokane, WA. According to the 2013 Liberty Mutual Workplace Safety Index, the most disabling workplace injuries and illnesses in 2011 amounted to $55.4 billion in direct U.S. workers’ compensation costs. This translates into more than a billion dollars spent by businesses each week on the most disabling injuries. The top cause of disabling injuries was once again overexertion. This includes injuries related to lifting, pushing, pulling, holding, carrying, or throwing and cost businesses $14.2 billion in direct costs and accounted for 25.7% of the national burden. The other top 3 were: Falls on same level, struck by object or equipment, and falls to lower level. Using OSHA’s Safety Pays calculator, we can get an idea of how much an injury costs and the amount of sales needed to cover that cost. For example, one strain can cost a company more than $67,000. If your company has a profit margin of 5%, that means you need sales of more than $1.3 million to pay for that single injury. Given the magnitude of these costs, why does safety fall by the wayside? Why are injuries, such as back strain and falls still a common occurrence in the workplace? A proper safety culture is only going to thrive if it is completely fluid throughout the facility – from the CEO to the line worker. The safety and health professional must be able to effectively interact with senior management and vice versa. Safety professionals must be able to use return-on-investment analyses and speak the language of senior executives. Similarly, senior management must understand the safety professional’s perspective and contributions to the organization’s overall well-being and prosperity. 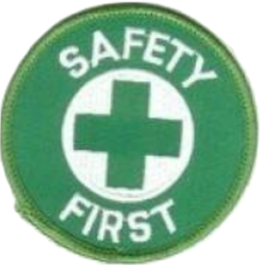 How does a company know if it has instilled a proper safety culture? Learn how PureSafety, the workplace safety industry’s first learning and safety management system, helps employee safety professionals proactively manage training, safety and compliance. Langdon Dement, MS, AEP (Associate Ergonomics Professional), GSP (Graduate Safety Practitioner), is an EHS Advisor with UL Workplace Health and Safety, focusing on industrial hygiene, ergonomics, patient handling and Job Hazard Analysis. He holds a degree in Occupational Safety and Health (M.S.) with a specialization in Industrial Hygiene from Murray State University and a degree in Biology from Harding University (B.S. ).